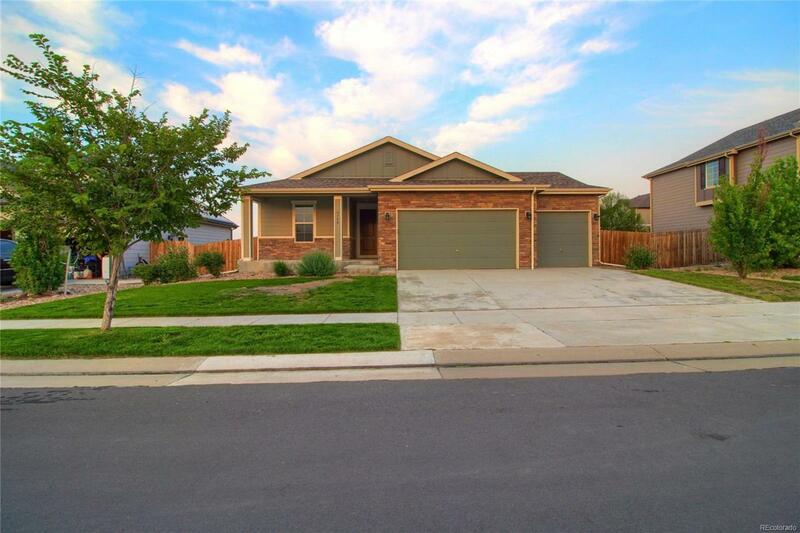 Welcome to a fantastic 3 bed + study RANCH home backing to open space in Fronterra Village! Fresh paint, new carpet, gorgeously refinished wood flooring! The main level offers a spectacular kitchen with stainless steel appliances and a massive granite countertop, an open family room, study with french doors, master bedroom with a 5 piece bath and a walk-in closet, plus two bedrooms and a full bathroom, and a laundry room that includes the clothes washer and dryer! 3 car garage! Close to parks, trails, Buffalo Run Golf Course, easy access to highways and DIA. Walking distance to elementary and middle schools. Not too many ranch homes in Fronterra Village - dont wait! Offered by Stars & Stripes Homes Dtc Inc.